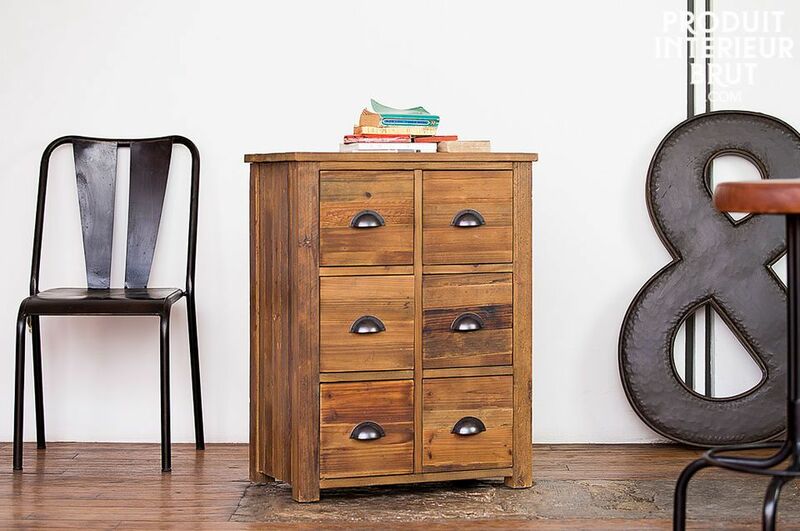 Achieved whith old polished wood, this chest seems straight out of an old workshop. 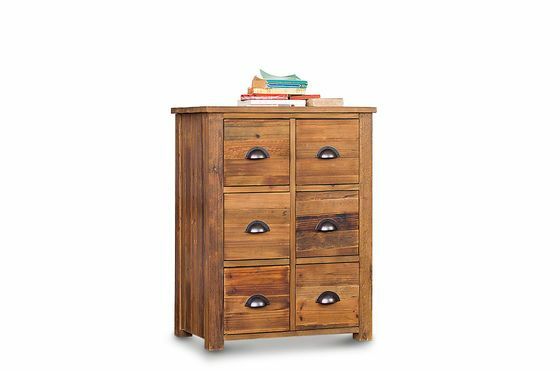 Its deep drawers enable to put away your belongings, even bulky. 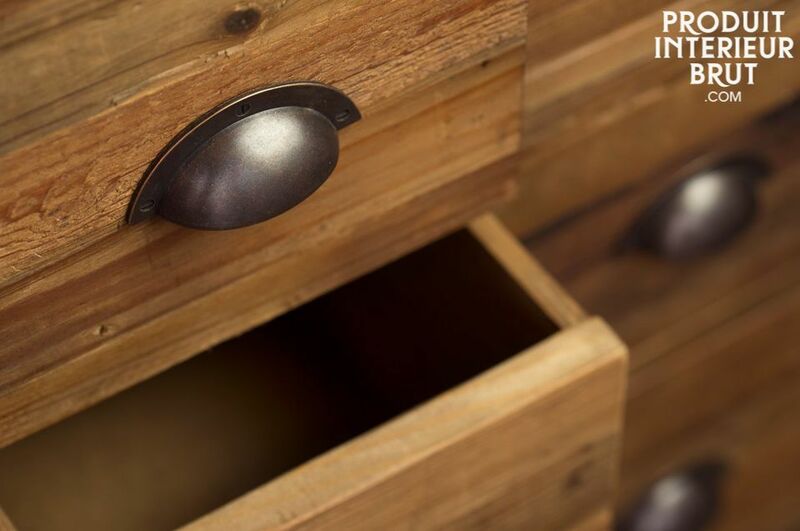 Irregularities of the recycled fir wood, combined to its varnished handles make this a durable and charming product.